Three University of Rochester faculty members—Thomas Eickbush, John Tarduno, and James Zavislan—have been awarded honorary professorships for excellence in teaching. 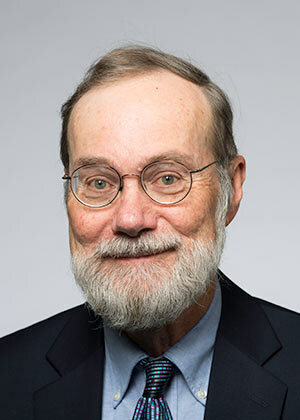 Tarduno, professor and chair of earth and environmental sciences, is recipient of the William R. Kenan, Jr., Professorship, which was established in 1966 by the William R. Kenan, Jr., Charitable Trust. It is awarded to a distinguished professor who is particularly effective in the teaching of undergraduates. In the summer of 2016, Tarduno took a group of Rochester students, including four undergraduates, to southern Africa and Australia to gather data on the past strength of Earth’s magnetic field. The data helped provide insights into the origin and future of the magnetic field, which protects our planet from harmful solar radiation. It is not unusual for undergraduates to undertake such unique field experiences under the mentorship of Tarduno, who has led more than 20 international trips with Rochester undergraduates during his 25 years at the University. Whether traveling to Africa to study the magnetic field, boarding a ship in the Pacific Ocean to research the motion of a Hawaiian hotspot, or unearthing fossils in the Canadian Arctic, Tarduno continues to make advances in his multidisciplinary research. Tarduno received his PhD in geophysics from Stanford University in 1987 and came to Rochester as an assistant professor in 1993. He served as chair of the Department of Earth and Environmental Sciences from 1998 through 2006 and is in the midst of a three-year term as chair from 2016-2019. He has received numerous awards in recognition of his achievements, including the Price Medal from the Royal Astronomical Society and the Petrus Peregrinus Medal from the European Geosciences Union. 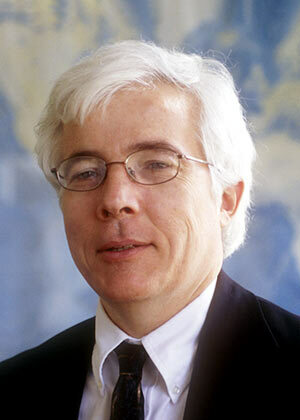 He has held a Guggenheim Fellowship and is a Fellow of the American Geophysical Union, the Geological Society of America, and the American Association for the Advancement of Sciences. Eickbush, a professor of biology, and Zavislan, an associate professor of optics, are recipients of the Mercer Brugler Distinguished Teaching Professorship, which recognizes excellence in teaching and encourages the development of crossdisciplinary instructional programs. The professorship was established in 1979 to honor Mercer Brugler, former chair emeritus of the board of trustees, with support from Sybron Corp., Brugler, and others. When Eickbush started teaching Introduction to Biology, he recognized the course was challenging for first-year students who did not have sufficiently rigorous preparation in high school. Eickbush worked with Rochester’s David T. Kearns Center for Leadership and Diversity to launch a mentor-based section of the course. The program helps students not only catch up on background information in biology but also teaches critical study skills to assist them in classes across disciplines. Known for his innovative approaches to teaching, Eickbush additionally transformed the foundational biology course for all students by introducing online and other non-classroom components and helped initiate a hands-on laboratory component. Eickbush graduated with his PhD in biology from Johns Hopkins University in 1979 and arrived at Rochester as an assistant professor in 1983. A fellow of the American Association for the Advancement of Science, Eickbush served as the chair of Rochester’s Department of Biology on three separate occasions. In 2002, he was received the Goergen Award for Excellence in Undergraduate Education, and, in 2017, Rochester’s Edward Peck Curtis Award for Excellence in Undergraduate Teaching. He received grants from the National Institutes of Health, the American Cancer Society, and the National Science Foundation to further his research on population genetics and mobile DNA segments that make up a large percentage of genomes. After a successful research career, Eickbush decided—beginning in academic year 2014–15—to close his lab and devote his energy full time to undergraduate teaching. Students in the Hajim School of Engineering and Applied Sciences have generally worked on their senior design projects with other students in their own department. 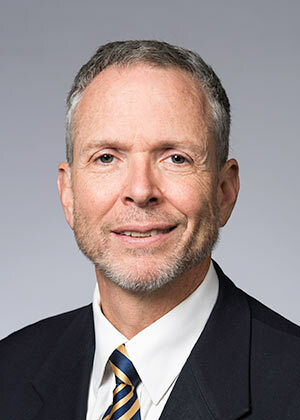 Now, they’ll be able to draw on the expertise of carefully screened engineering students in other departments as well, thanks to the Hajim Consultants program proposed by James Zavislan, associate professor of optics and associate dean for education in the Hajim School. Optics students looking for the right materials and design to house a lens array, for example, might draw on the expertise of a mechanical engineering student—mirroring the multidisciplinary teamwork that occurs in a “real-world” engineering workplace.